Is there a statute of limitations on genocide? Matthew became involved in Holocaust education after going on the March of the Living Young Adult Trip in 2013, and again in 2015 as a chaperone for the Toronto high school contingent. 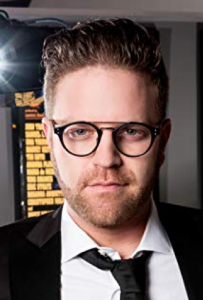 Upon hearing about the trial, Matthew, along with a friend from the March, Ricki Gurwitz, who was working in TV News at the time, put together a pitch for a documentary. It received instant interest, and, after years of preparation, was accepted into the Hot Docs Canadian International Documentary Film Festival. At first, Matthew was worried that people would see the word “Auschwitz” and think that it’s “just another Jewish Holocaust movie.” However, there was great interest in the film, and it received the award for second best film of the festival out of 247 films from around the world. Matthew’s film is unique in that it focuses on a trial that just happened. “There’s an immediacy to it since it takes place in the present.” The film raises questions such as how to enforce never again, and, what it means to seek retroactive justice. Matthew Shoychet is a 31-year old filmmaker. He grew up in Thornhill and graduated from York University with a Bachelors of Fine Arts in Film Production, and furthered his studies at Sheridan’s Advanced Television and Film Program. 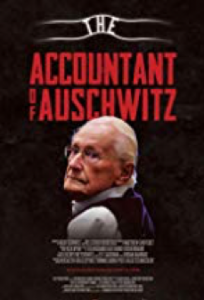 In 2015, Matthew began to work on the feature film “The Accountant of Auschwitz” and it is currently being played across the country.